Charmer Prince’s Lucky Charm aka Love Bug was born on May 1, 2014. This proud sire Charmer Prince of the Lion King and dam JRM Glory were so pleased with him. Love Bug is a palomino and white pinto with about 90% oatmeal palomino coloring and 10% white. Love Bug has two beautiful blue eyes. He is a very curious and friendly colt. 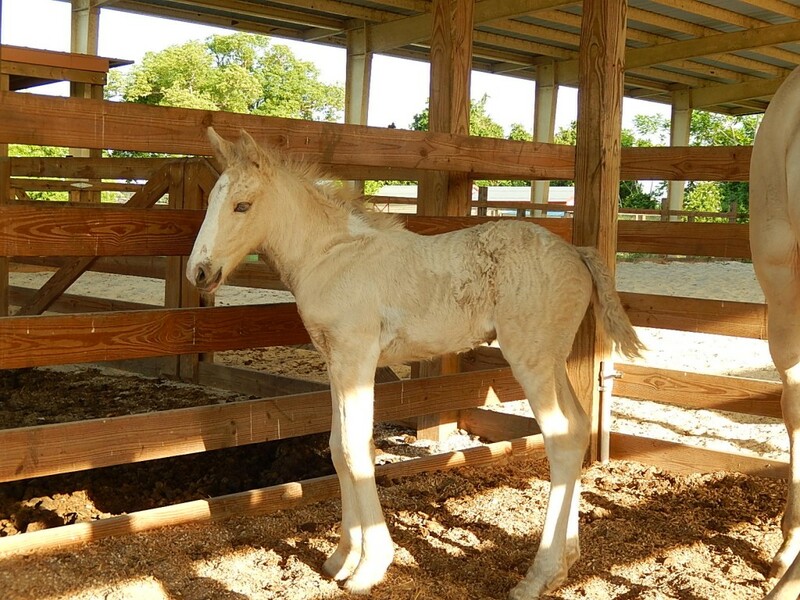 Love Bug has one big brother, Azure, a buckskin colt born in 2013 who now lives in Ocala.